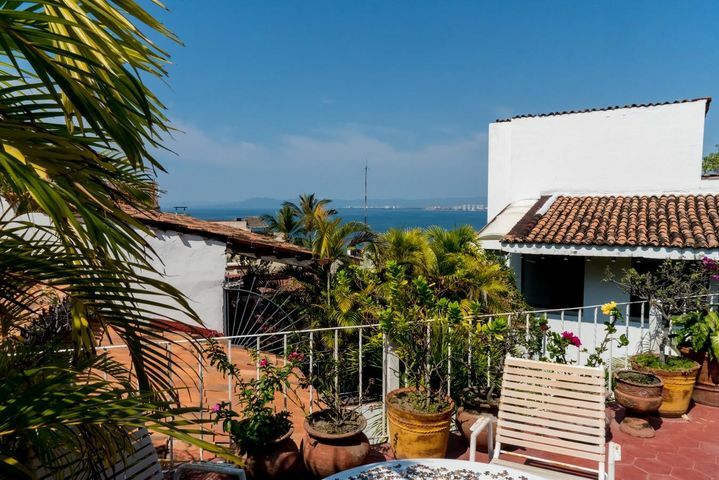 Colonial Charm and Ocean Views! 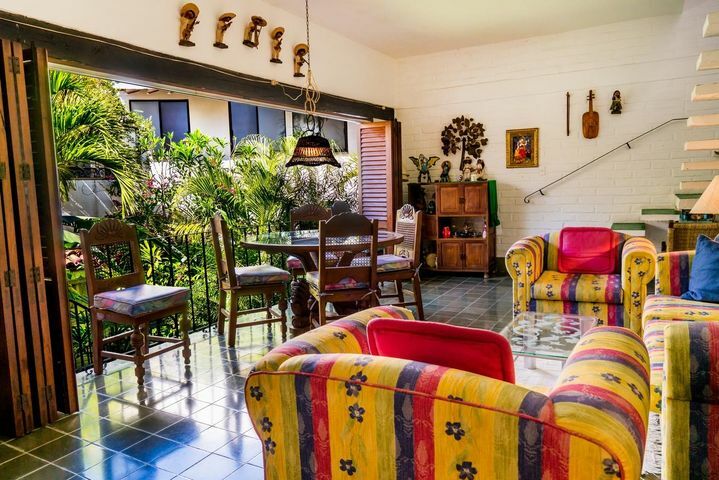 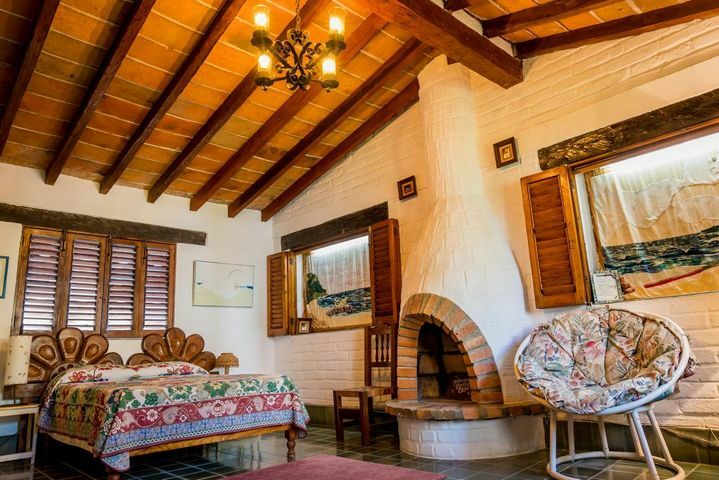 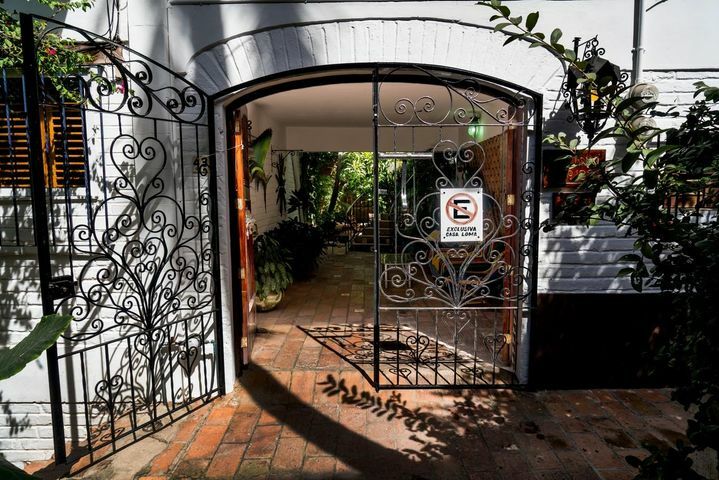 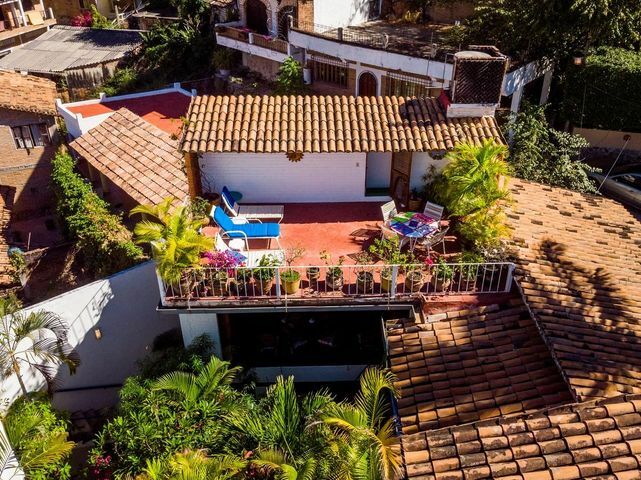 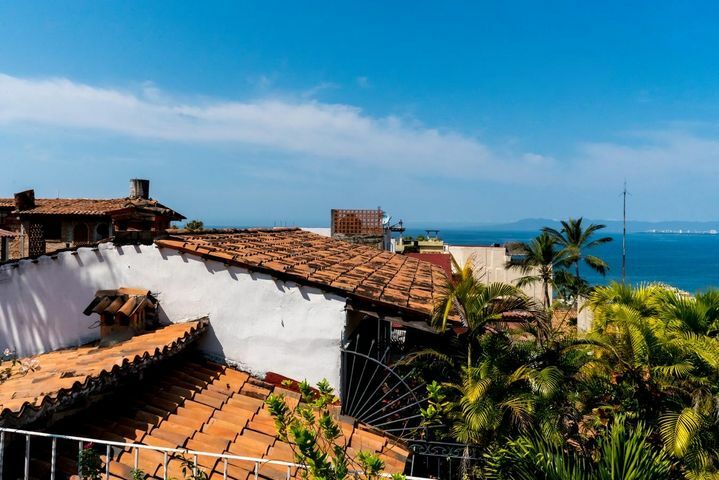 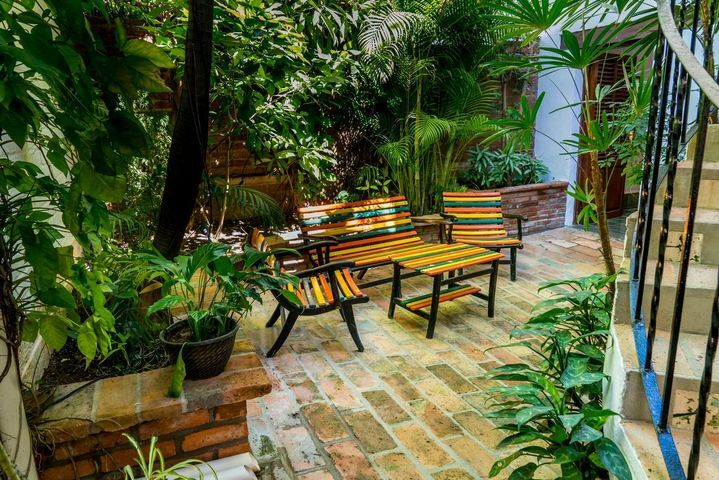 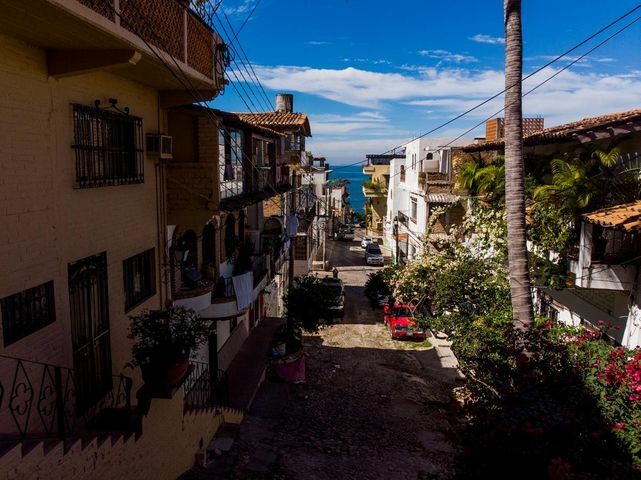 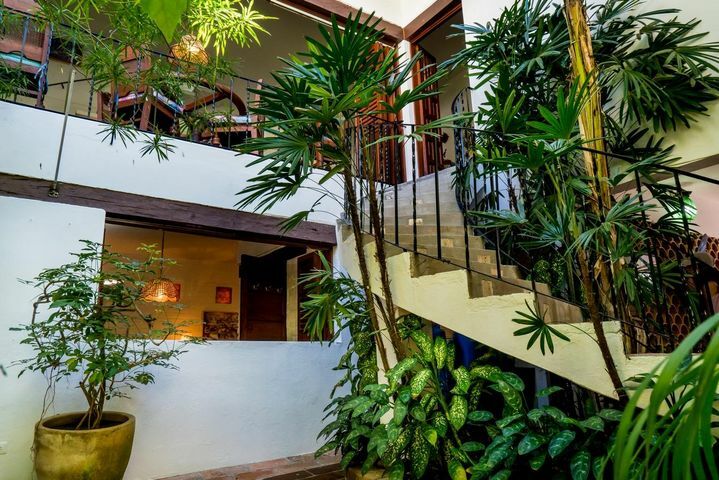 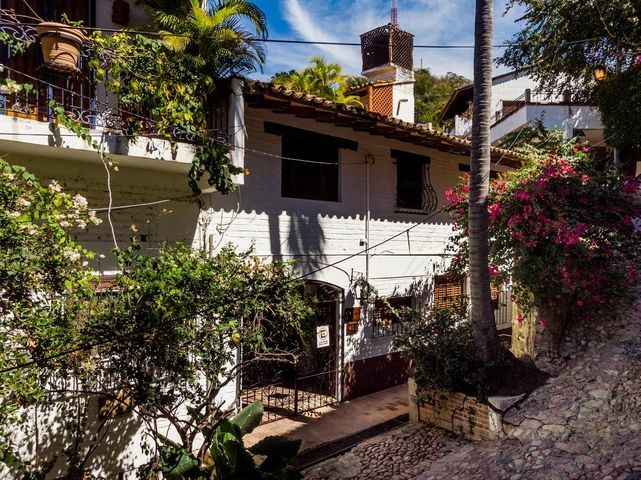 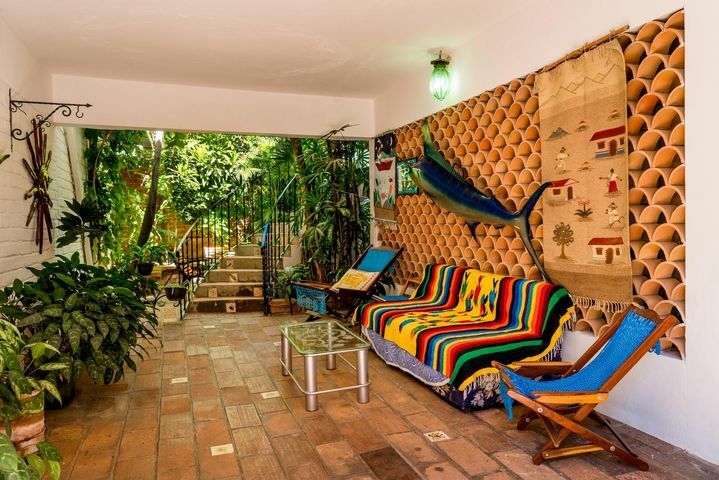 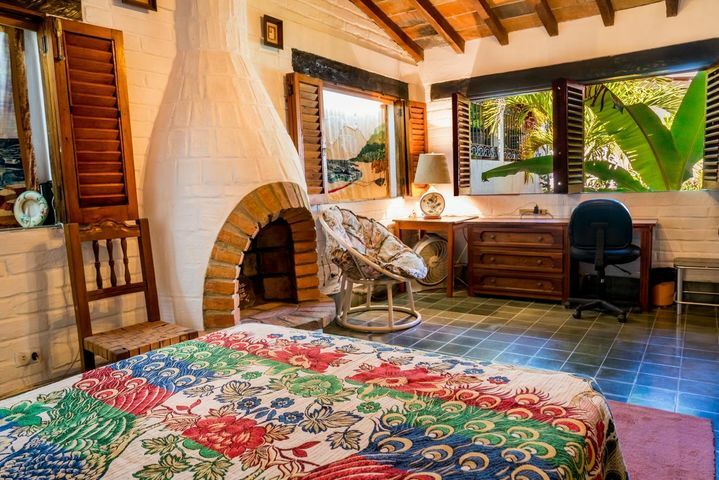 This enchanting ''Vallarta Style'' home just above the famous Malecon Boardwalk features a lovely center courtyard with outdoor entertaining area and mature tropical gardens. 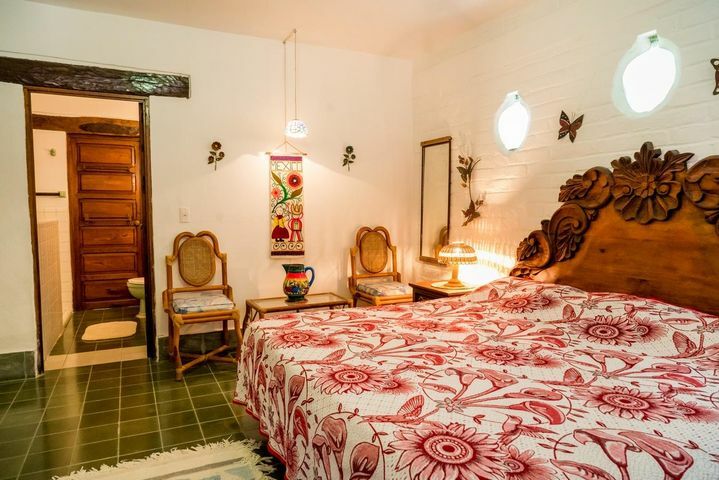 Two spacious and restful bedrooms are on this main level; offering ease of living and plenty of privacy. 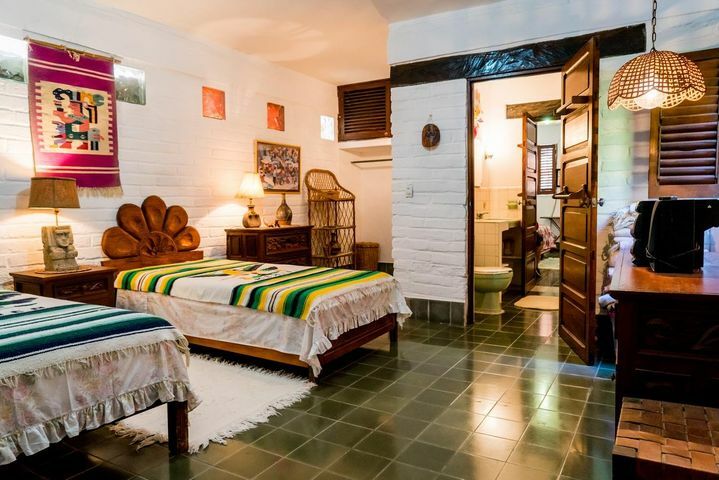 The shared bath could be expanded to make two ''in-suites''. 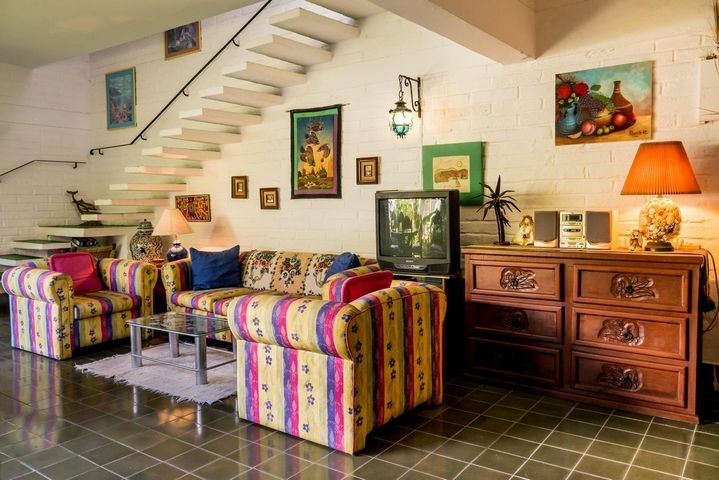 The secure carport and adjacent laundry and storage area will make commutes and chores a snap! 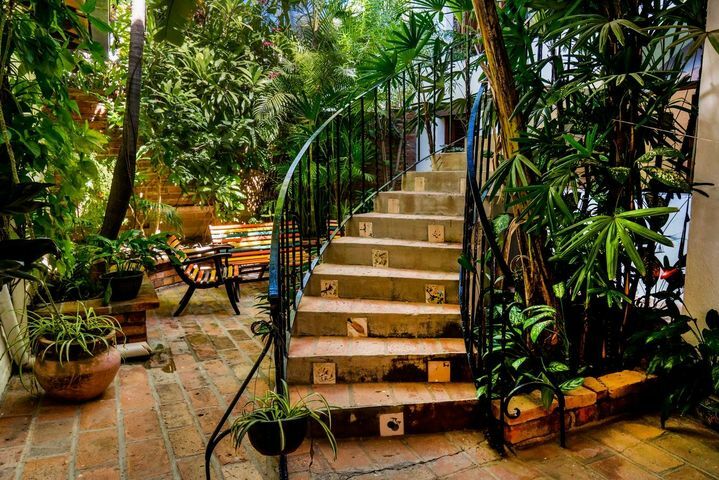 A graceful curved stairway with tile inserts leads to the main living area and cozy dining overlooking the courtyard. 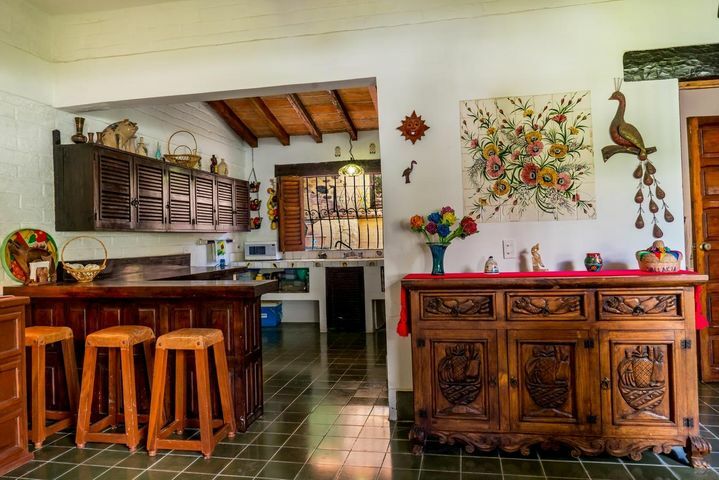 The functional kitchen features hardwood cabinetry, bar seating and vaulted beamed ceiling.